Today's post is brought to you by the fabulous Laura of Blogging Over Thyme. Not only is she a lovely new friend of mine, but she can bake up one mean cupcake (seriously, how cute are these?!). Show her some love! When Kristin asked me to write a guest post, I was both honored and thrilled! Kristin’s fabulous recipes, stories, and photography have been such a source of inspiration to me and it has been such a pleasure to get to know her. With the holidays coming up, we both decided that something sweet was in order. Christmas Day, at my house, is filled with tradition. After slowly waking up and greeting the morning, my family sits down at our kitchen table, where we feast on Italian panettone, fresh fruit and berries, and warm mugs of hot coffee. Pajamas, robes, and fuzzy socks are the official attire of the day. After eating breakfast, we head to the living room, where we grab our stockings and slowly open them, one gift at a time, attempting to prolong the process as long as possible. Every year, my sisters and I reach our hands deep into our stockings and pull out a fresh clementine. Amidst all the other gifts, it is the most simple, but also the most sentimental. 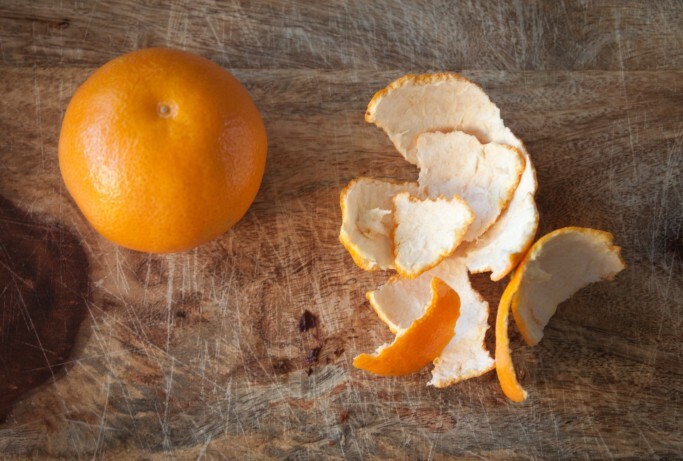 We usually end up munching on tons of fresh clementines throughout the holidays, leaving small trails of peel wherever we go, the smell of citrus lingering on our hands and fingers. When I saw fresh clementines hit the shelves recently, I knew that I wanted to create a holiday dessert incorporating them and immediately began daydreaming up ideas. Chocolate was the next logical choice. 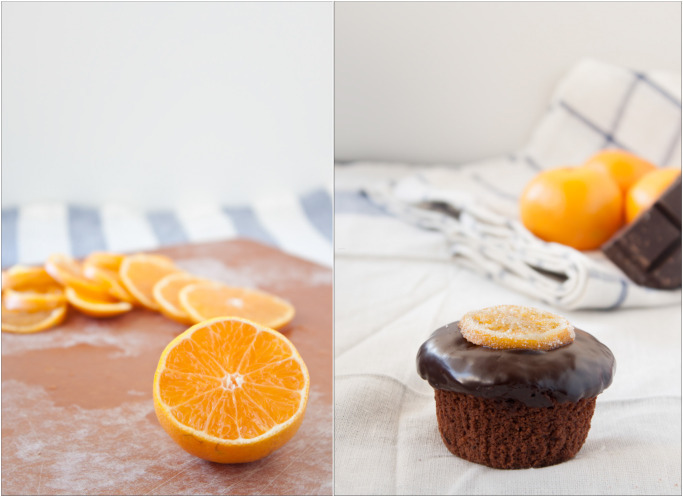 Orange and chocolate is a classic combination and one of my all-time favorites. Tarts, cookies, and cakes all came to mind, but cupcakes inevitably won for their portability, cute factor, and individual portion size. The next step was getting into my kitchen, cranking up the oven, and whipping up several trial and test batches. It instantly brought back memories of my days working at the bakery! While some cupcakes can be heavy and leave you feeling weighed down, these cupcakes are surprisingly light and airy, while still being decadent and full of flavor. 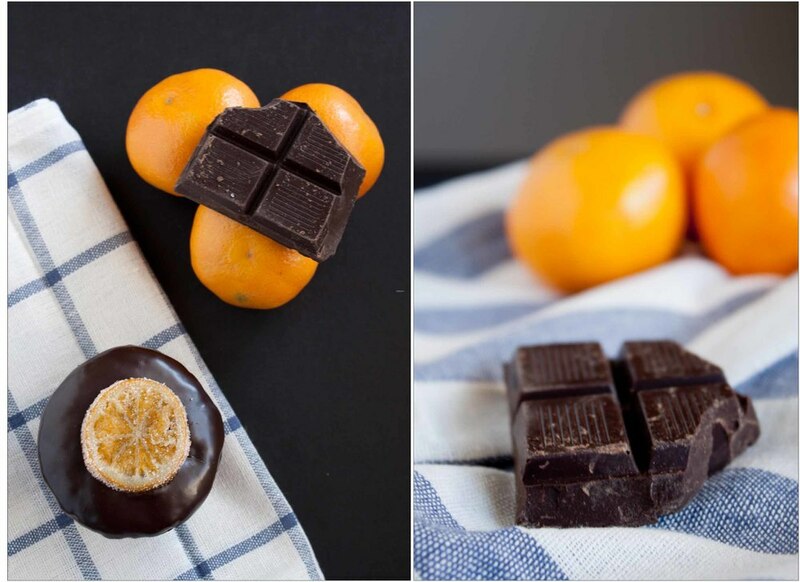 The cake is infused with clementine zest and orange extract, dipped in rich (72%) dark chocolate ganache, and topped with candied clementine slices (optional). 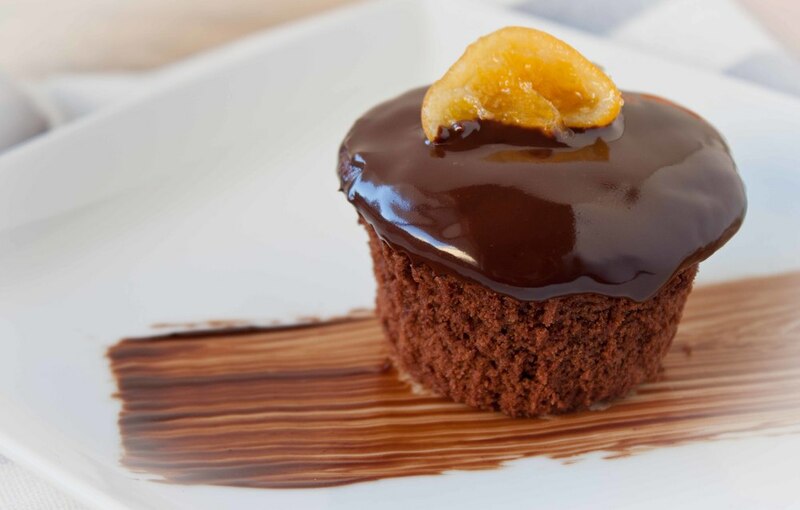 These cupcakes have just the right amount of citrus and chocolate flavor, without either taste overwhelming the other. When I took my first bite, I was instantly reminded of Terry’s Chocolate Oranges, a favorite childhood treat. These cupcakes, on the other hand, are a bit more sophisticated, special, and sure to impress your family and friends over the holidays. Enjoy!